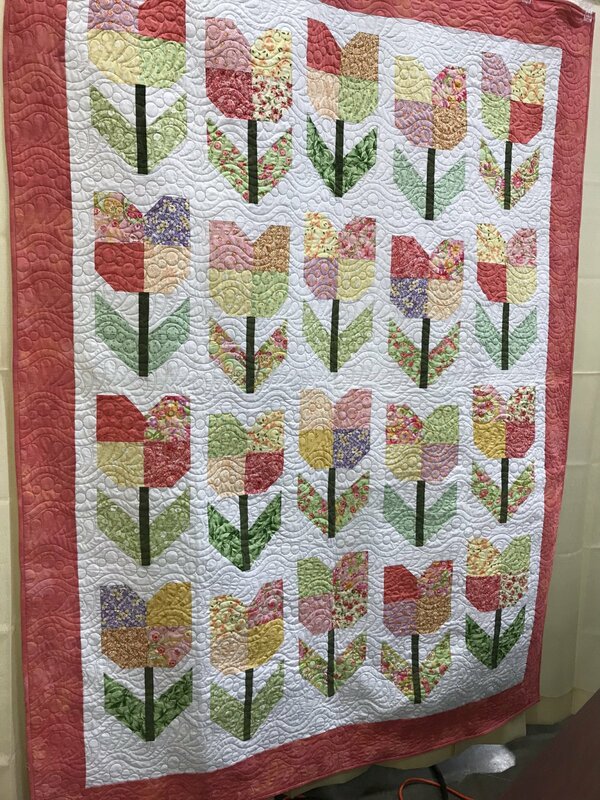 Totally Tulips Quilt Kit- comes with fabric to make 10" inch squares to complete quilt. Does not come with border, binding or backing fabric. Complete quilt is 89" x 90".